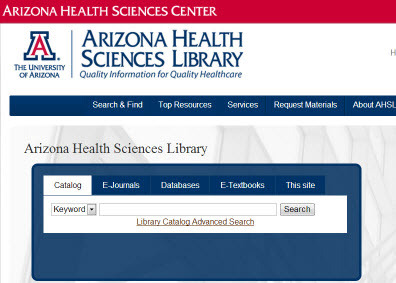 A guide for finding and using library resources at the University of Arizona. As a UA public health student you have unrestricted access to all resources from the AHSL website. When you are off-campus you are prompted to authenticate with your NetID and password.